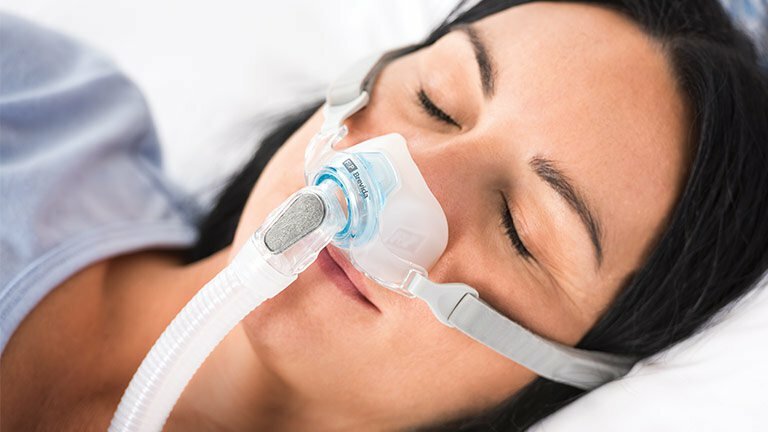 The Brevida nasal pillow mask was developed after extensive patient research and was designed to be easy to wear, and extremely comfortable. Featuring 2 different size ultra soft inflatable nasal pillows that have side supports to reduce the likelihood of seal dislodging during sleep. The back of the AirPillow has a built in plastic clip which allows the pillow to lock into place and create extra stability. The AirPillow can be easily removed for cleaning and replacing. The headgear is soft, flexible and is made of comfortable materials which is minimalist on the face. Like a pair of swimming goggles, the adjustable headgear straps split at the back and incorporate strong Velcro tabs located towards the front of the mask. 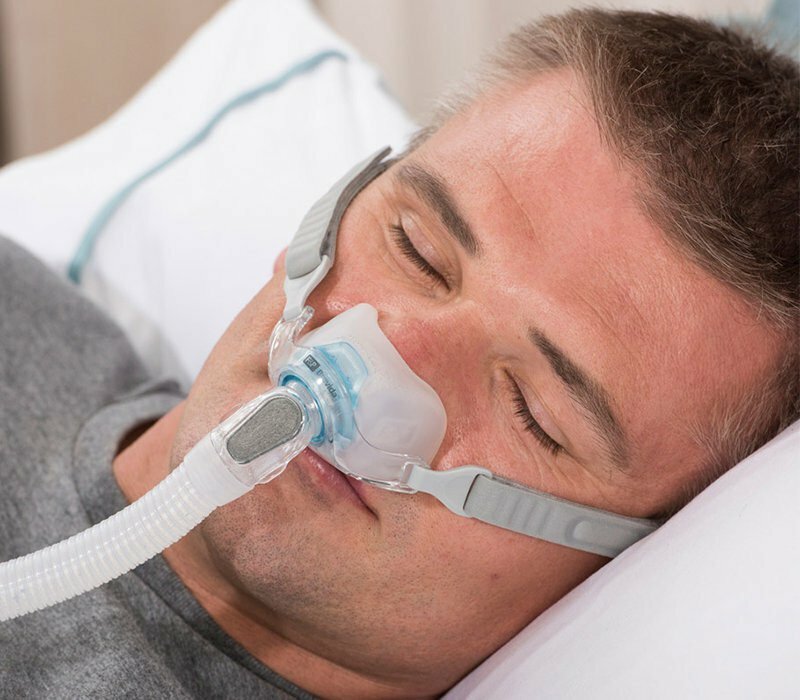 The short slim tubing which extends from the mask frame has a swivel at the bottom, which will connect to any CPAP/BiPAP machine. 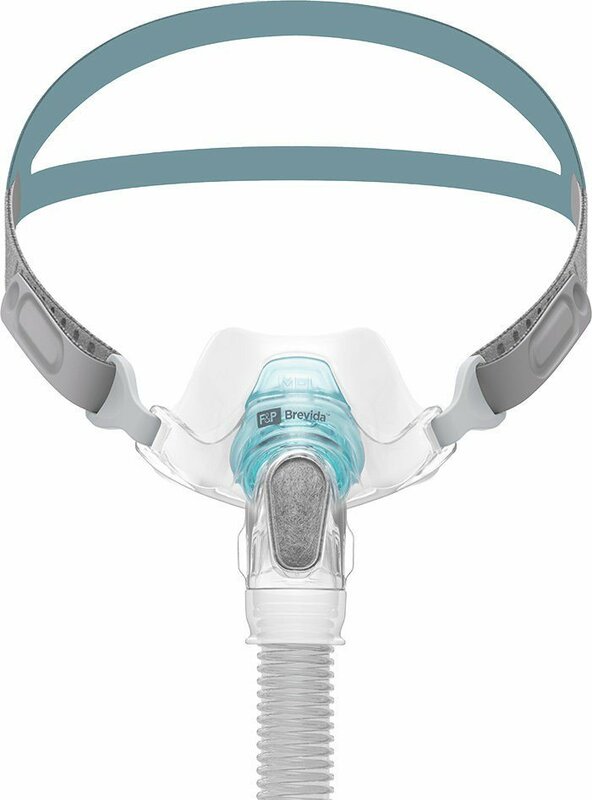 Fisher & Paykel Healthcare’s Brevida Mask Takes Out Top Design Award. The Brevida nasal pillow mask has won the prestigious Product Design award from independent German design organisation, iF International Forum Design. Washable diffuser filter. (Ultra-quiet and prevents exit air from blowing towards your bed partner). Adjustable headgear with variable stretch technology. 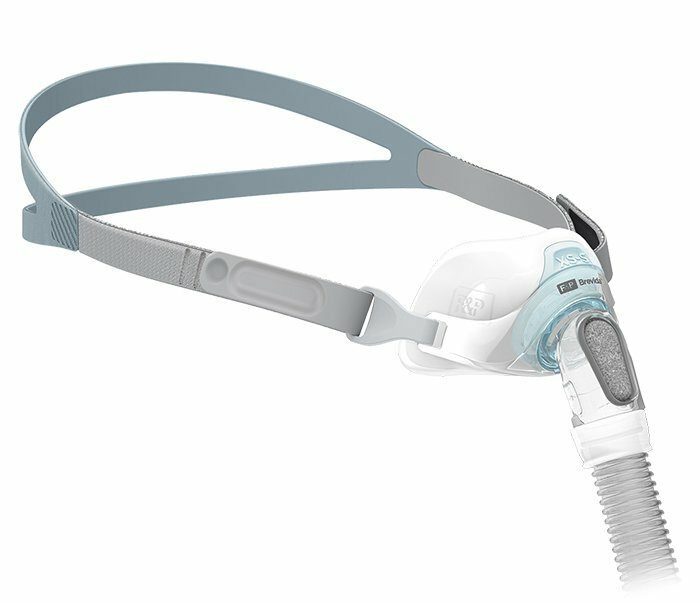 VisiBlue integrates a light blue color into the mask parts to assist with disassembly and reassembly. AirPillow Seal Inflates for unmatched seal and comfort without nasal irritation. AirPillow Seal: The AirPillow is designed to be worn looser than other nasal pillows, thus less pressure is required on the nostrils. As the air enters, the AirPillow inflates sealing in and around the bottom of the nose. The design of the side supports reduce the likelihood of seal dislodging during sleep. Our in house testing resulted in an incredibly soft pillow that easily inflates and forms a gentle and effective seal. Adjustable Headgear: The fully adjustable headgear attaches to the mask frame by looping through the clips. The headgear is soft, flexible and minimalist on the face. Air diffuser: This washable and durable air diffuser dramatically reduces noise and air draft.